The playtpus can be found in the fresh waters of Eastern Australia and Tasmania. They are most active at night and spend most of their name time resting in their burrows near the water. When scientist first saw the platypus they thought they were fake, believing they were the results of some tricky taxidermy. 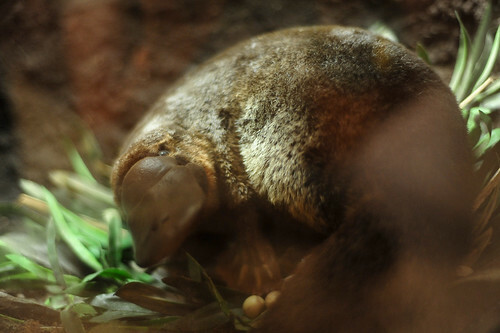 The platypus feeds milk to its young just like all mammals, but a bit differently. They secrete milk from their skin. 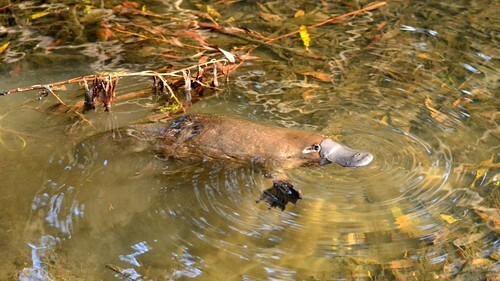 The platypus has a flexible bill which they use to scoop up their food. They are bottom feeders and eat shellfish, worms, bugs and larva. 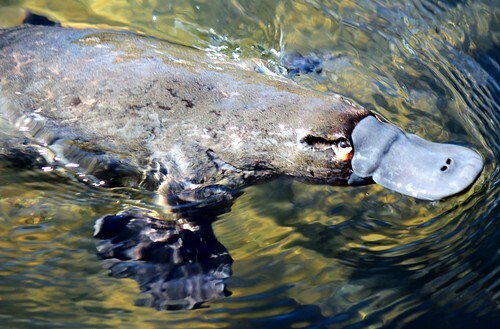 The platypus uses its bill, not just to scoop up food. They also use it to hunt. Their bills are covered in electro-receptors which help them to detect electrical fields and signals. There is much debate over what the plural for platypus should be (notice how I've avoided it?). It seems the majority is in agreement that "platypi" is incorrect. Most dictionaries suggest "platypus" or "platypuses." Those who believe the source of the word is Greek say "platypodes" is the correct plural. 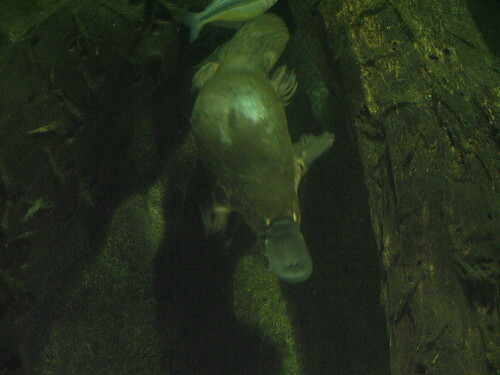 The platypus does not have teeth. They scoop up gravel with their food, which helps them digest. The platypus doesn't have a stomach. Their esophagus connects to their intestines via a tube. 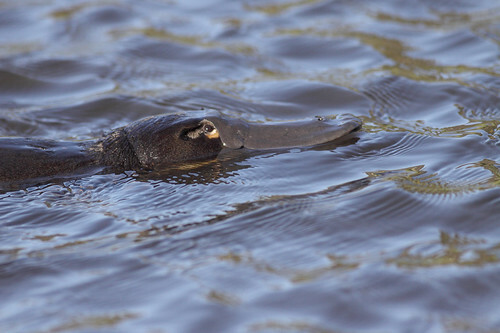 The platypus can keep water our of their eyes and ears when swimming with a fold of skin and can seal shut their nostrils. 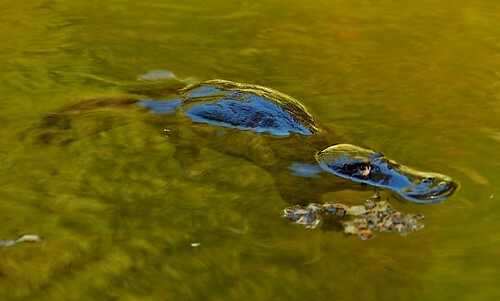 The platypus stores fat in its tail when there is limited food. The platypus has webbed feet. They can retract the webbing when they are on land, making their claws more pronounced. They walk on their knuckles. 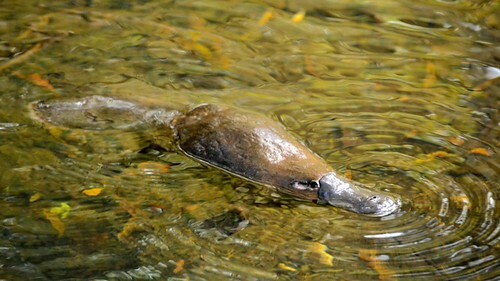 The platypus has thick waterproof fur. They used to be hunted for their fur in order to make rugs. 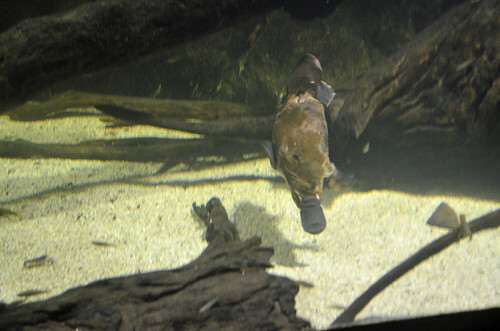 The male platypus is venomous. They have venomous spurs on their hind feet. This can be used to kill small animal and defend against rivals. There is not any evidence that the venom can kill humans, but it can cause a person intense pain. 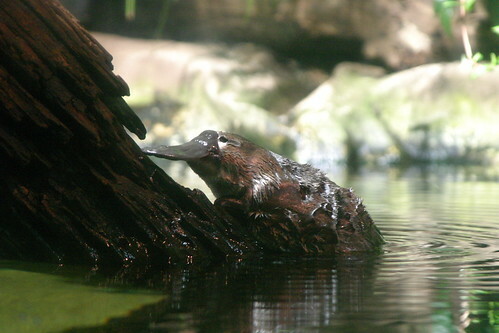 What was your favorite platypus fact?